For those of you not familiar with the Bomberman experience, I will spare you the details. The dynamics of the game are as easy as 1-2-3. 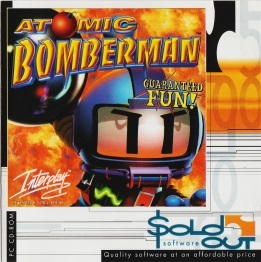 The first Bomberman game to be made by a non-Japanese studio (that wasn't a home computer port), Atomic Bomberman wears its Western influence on its sleeve: the 2D sprites are now heavily-detailed prerendered graphics, matches are set to energetic drum and bass music, with characters making loud exclamations at every death or power-up collected, performed by cartoon voice talents Billy West and Charles Adler (at the time probably best known for Ren & Stimpy and Cow and Chicken respectively). Even the comparatively methodical pace of Hudson's games is out the window, replaced with lightning-fast movement speeds and blast-happy bomb fuses - it's tough to describe Atomic Bomberman without saying "fast and furious", be that a positive or a negative. 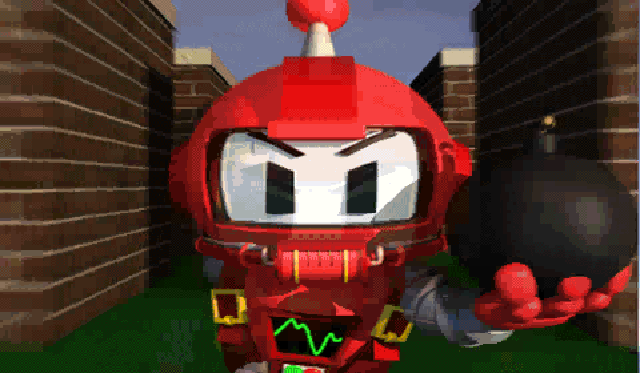 Despite the almost overwhelming tonal shift, the developers were keen to keep the heart of Bomberman alive, and the Battle Game remains one of the most full-featured in the series. Up to 10 players are supported via online connectivity, LAN link-up, or squeezing as many gamepad adapters as possible into your computer. The game is heavily customisable, allowing users to edit the sound effects and sprites with pack-in tools, and you can even design your own battle arenas - a feature no other game has replicated! Although Interplay licensed Super Bomberman 3's code from Hudson, it's missing a few features that would have been staples in 1997, including the Revenge option, rideable creatures, or even a dedicated single-player mode. Delivering a solid multi-player function was their biggest priority, and as it stands, it's a fresh approach to the formula and the first major attempt at online play (barring the limited XBAND functions of Saturn Bomberman).